With HIV, Can We Get to Zero? Can We Get HIV Infections to Zero? A diagnosis of HIV/AIDS used to be a death sentence. Now, with proper treatment, people with HIV can live long, healthy lives. If they take their anti-AIDS drugs, the amount of the virus in their blood can be so small that it is impossible to infect others. And, the U.S. Centers for Disease Control and Prevention says a daily pill can prevent HIV infection for those who don't have the virus. Dr. Anthony Fauci has spent much of his life working on HIV/AIDS at the National Institutes of Health. He says the world has turned a corner on the virus. To turn the corner means to pass an important part of a process. Fauci also talks about the trajectory of the epidemic, meaning the path or progression of the disease. "If you look at the trajectory of the epidemic, we are on a course towards ending it in the sense of 'as we know it' because we've always known it as going up, now it's flattening off, and now it's going to start to go down. And we're starting to see that decline." The United Nations says new HIV infections have been reduced by 35 percent since 2000. And, it says, AIDS-related deaths are down by 42 percent since the peak in 2004. The world community has come a long way in the battle against HIV/AIDS – but the disease has not disappeared. Thirty-seven million people around the world are still living with HIV. One million new people are infected each year. And each year sees more than a million deaths. This is according to a U.N. 2014 AIDS report. This report also states that in 2014, new infections were up in Eastern Europe, Central Asia, the Middle East and North Africa. The areas of the world where new infection rates are falling are Latin America, Sub-Saharan Africa, Asia and the Pacific. Sub-Saharan Africa is the area hardest hit by the AIDS epidemic. But they are seeing progress. Dr. Deborah Birx is the Global AIDS Coordinator at the U.S. State Department. Birx says young people in Sub-Saharan Africa are at a particularly high risk for HIV/AIDS. "Older men are infecting young women between the ages of 15 and 24, and then those young women five to six years later go on to infect young male partners in their 20s. So, if you want to change the total course of the HIV epidemic, you have to get older men on treatment and you have to have programs that allow young women to stay HIV negative." Talking about HIV and sexual behavior is part of the formula for success. Policy and health experts agree that removing the stigma around HIV and getting more people on anti-AIDS drugs are needed to get to the number of infected zero. The people most at risk of infection are intravenous, or needle-using, drug users and homosexual men. AIDS activist Rodney McCoy is HIV positive. He says he believes the biggest block to achieving an AIDS-free generation is not facing the disease. "Not talking about HIV, not talking about what we do sexually. Not wanting to get tested. Basically, that refusal to acknowledge that HIV is still an issue and that refusal to look at our own risks." But new approaches to treatment are also leading to surprising results. A man in the U.S., the so-called Berlin patient, is now famously the only person in the world who has been cured of HIV. 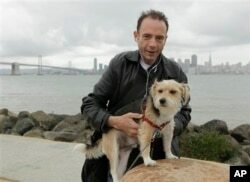 As reported in the Huffington Post and other news outlets, Timothy Ray Brown tested positive for HIV in 1995. In 2007 and 2008 he had bone marrow transplants in Berlin to help fight his leukemia. Eight years later, Brown remains free from leukemia and is still the only person on the planet to be cured of HIV. There are several words in this piece that are important when talking about HIV/AIDS, including stigma, intravenous, turn the corner and trajectory. Practice using them in the Comments Section. Carol Pearson wrote this piece for VOA News in Washington. Anna Matteo adapted it for Learning English and added additional reporting. Kelly Jean Kelly was the editor. bone marrow transplant - medical A bone marrow transplant is a procedure to replace damaged or destroyed bone marrow with healthy bone marrow stem cells. Bone marrow is the soft, fatty tissue inside your bones. The bone marrow produces blood cells.